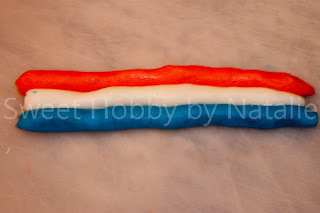 Yes another patriotic post. 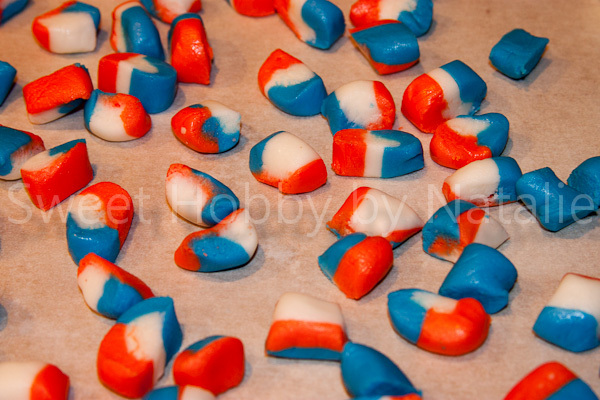 I am really not that patriotic but it's that time of year and what better way to show some patriotism then in sweets! 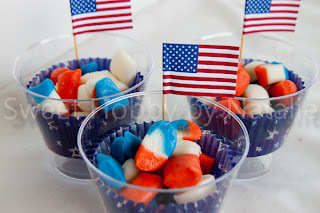 This would be an easy treat for 4th of July. 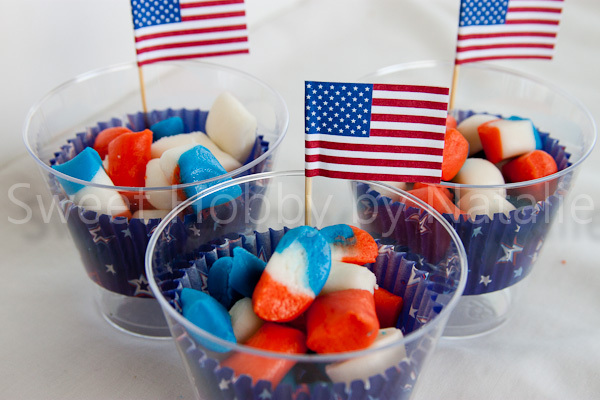 But you may not want to bring them to an outdoor event as they are made of butter and can melt. I made them for some ladies I visit so it is a good thing to drop off to your friend or family to let them know that you care! I have made these a few times at Christmas (in Christmas colors) and everyone was so impressed and thought I was amazing. But really these are the easiest things to make anyone could do it, including my husband and if he could do it, anyone can!! I bought a candy cookbook , Sweet Confections by Nina Wanat nine or so months ago and the few things I have tried have been amazing. The cookie dough fudge is sooooo good!! You may not want to make it because you will eat it all! Anyway I took a few pictures and put this little tutorial together for you. All you do is combine the butter, powdered sugar, cream and mint extract in your mixer. Turn it on and mix it until it all comes together and clumps around the paddle. Take it out and divide it up into how ever many colors you want. 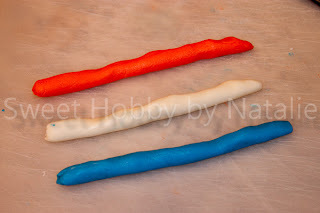 (if only doing one color put coloring in to bowl while mixing) I use gel food color such as Americolor. Where gloves and tint your dough to desired colors by kneading and pulling. 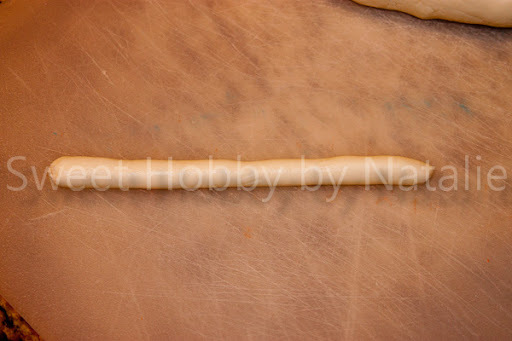 Take smaller portions and roll it out to 1/2 diameter rope on a clean surface. Use a knife and cut into half inch pieces. Set out on a pan with parchment paper and let it dry out over night. I also decided to do a patriotic twist. Roll out same size of rope in all three colors. Then mush together slightly and roll out again into longer rope. Cut into pieces and lay on pan, dry overnight. And you are done! Store in an airtight container, or just set them out and they will be gone in 30 minutes! Place powdered sugar, cream, butter, and mint extract in the bowl of a stand mixer. Beat on low with a paddle attachment until thoroughly combined. Increase the speed to medium, and beat until the mixture clumps around paddle. Divide the resulting "dough" into batches, on batch for each color of mint you are making. Apply drops of food coloring to each bath,aiming for pastel colors. 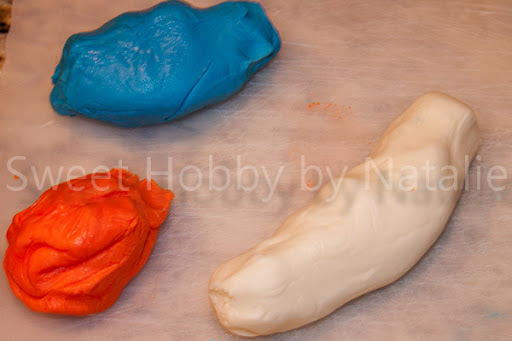 Knead one batch with gloved hands, until the color is uniform Wash the gloves, and repeat for each color. 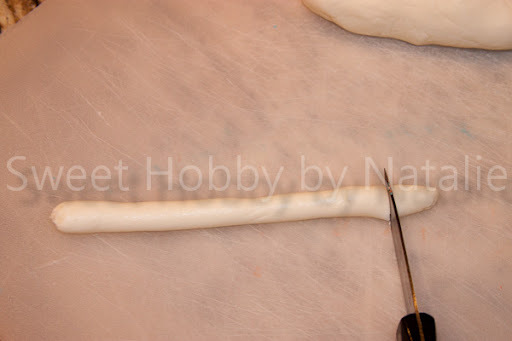 Roll the dough into 1/2 inch wide ropes, and then cut each rop into 1/2 inch long pieces. 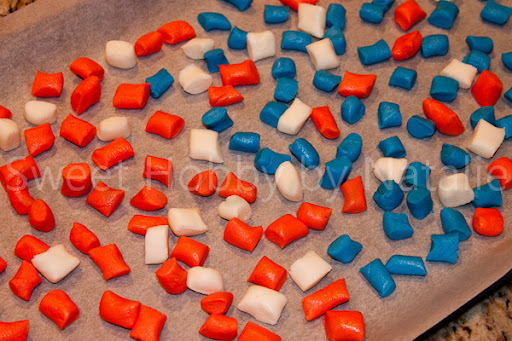 Arrange the peices on the prepared baking sheet so they don't touch each other. Let sit out uncovered overnight to dry. Store in an airtight container. I haven't had these in years, and when I see them online, they usually call for cream cheese (which makes me gag!). I am guessing these taste like the ones "Dot" made when I was a kid! These are so cute when you use the tiny animal shapes. Clever. Can I grow up and be like you?